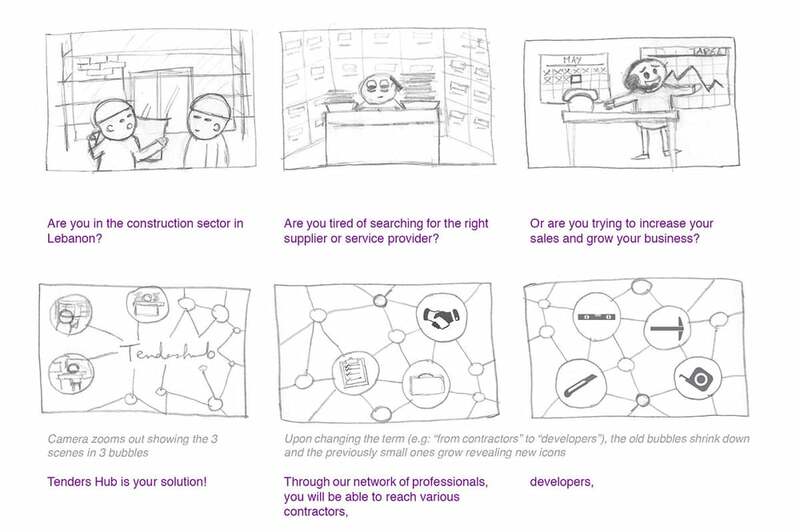 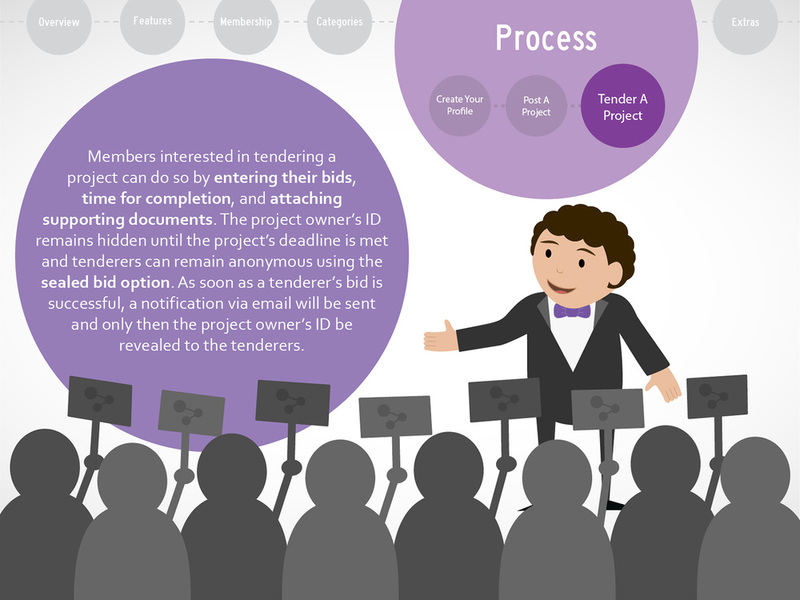 A commercial animation designed to introduce TendersHub to the market as a tendering platform of construction works in Lebanon (2014). 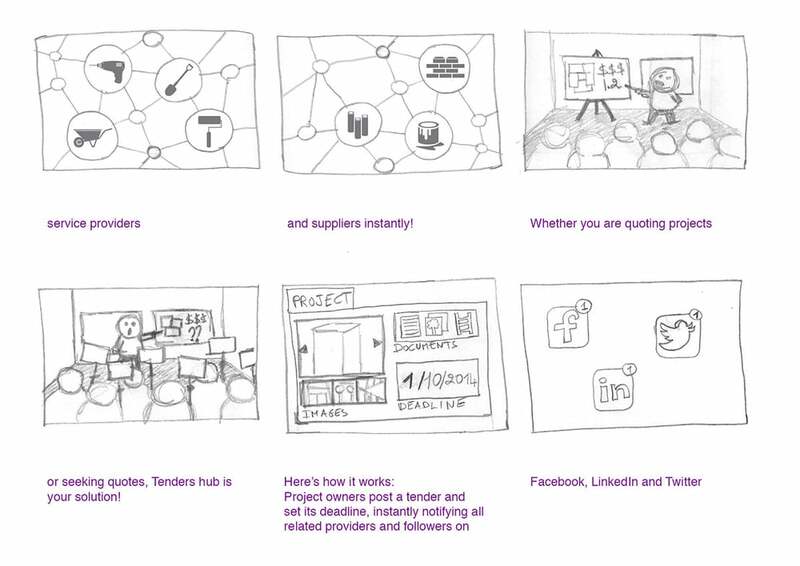 The storyboard and script of the animation. 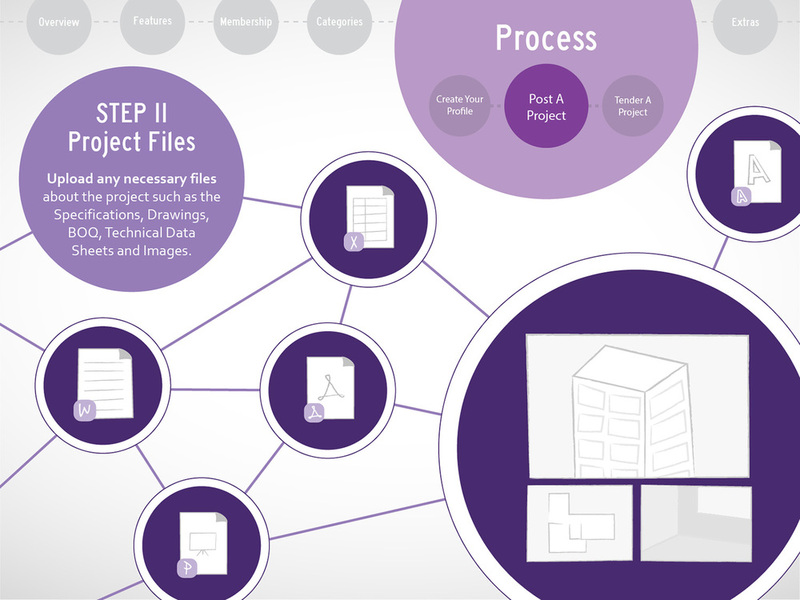 The text in purple represents the voice over lines and the text in grey is a description of the animation. 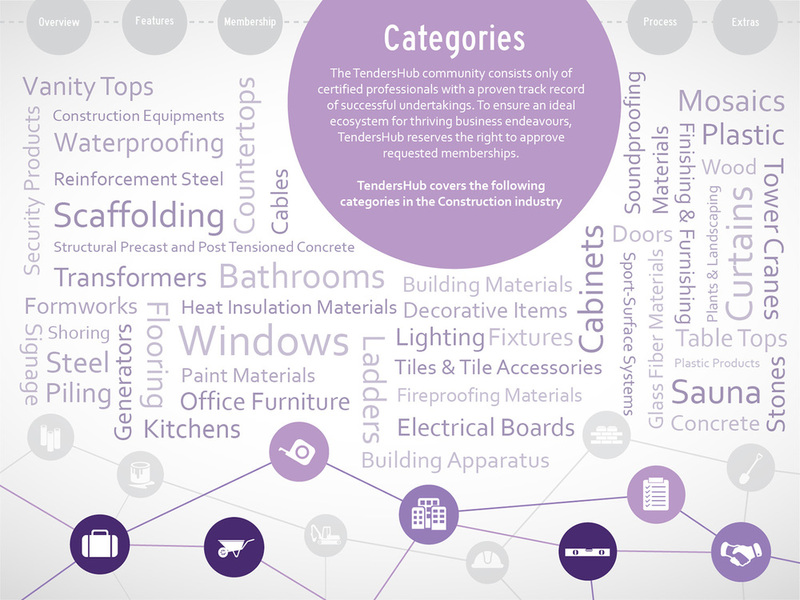 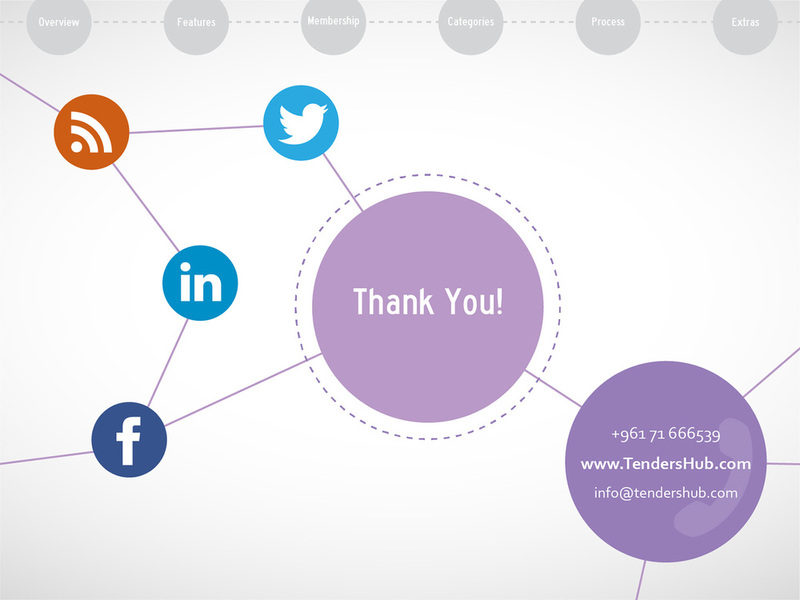 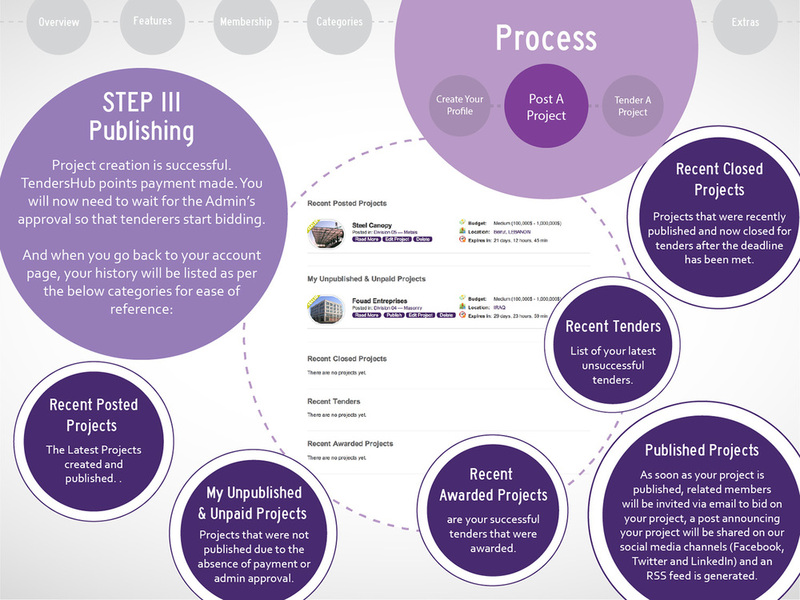 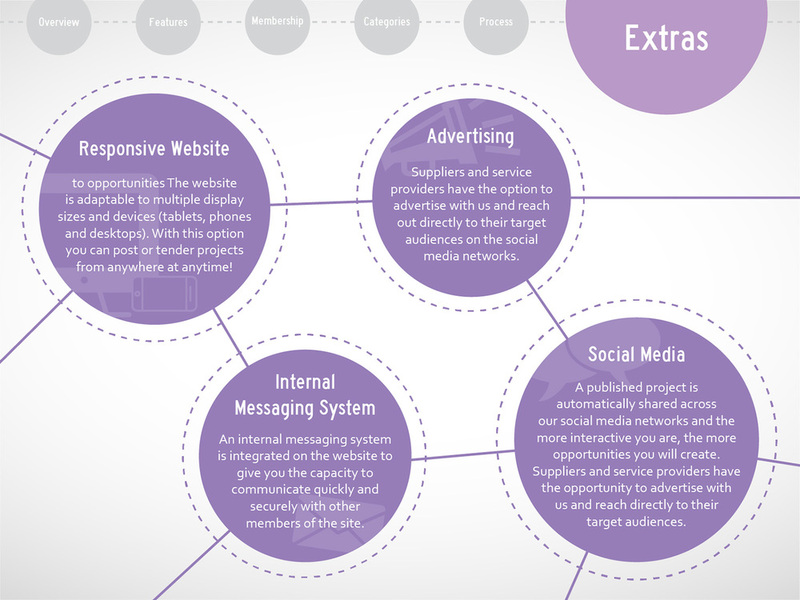 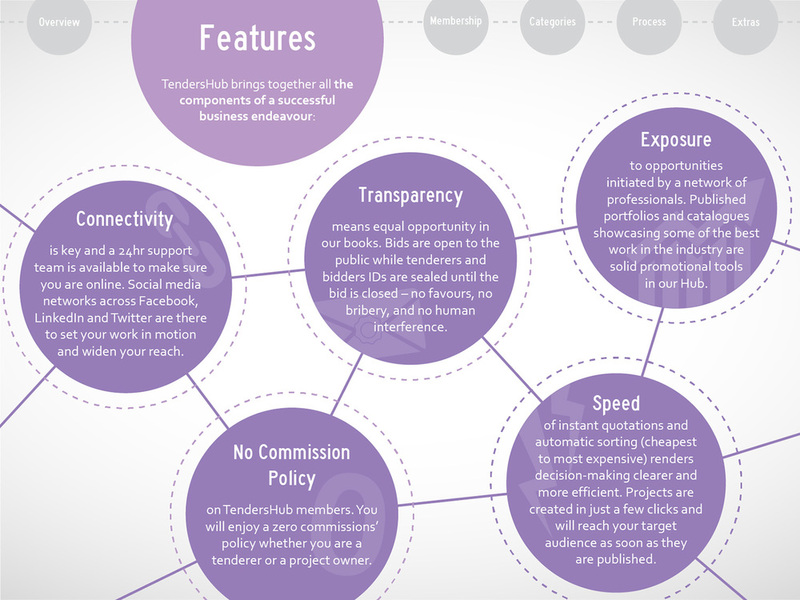 An interactive brochure that explains the services of TendersHub as an online tendering platform (Download PDF here).